In 2016 I started a hashtag over on Instagram because I wanted to challenge myself to get out and explore Maidenhead and to document my joureny in photos. I started tagging my photos with #lovemaidenhead so that others could find my images and share theirs too. 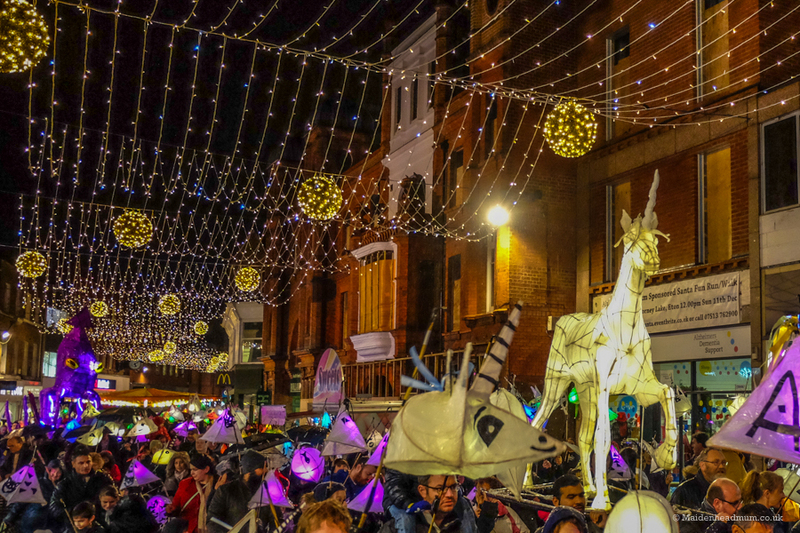 Last year I collated a selection of my favourite Maidenhead images into a Maidenhead calendar and have now raised £700 for the Maidenhead festival from calendar sales. All of this has meant that I’m becoming known as ‘that lady with the camera’ and when people bump into me in Maidenhead they tend to ask me about photography. 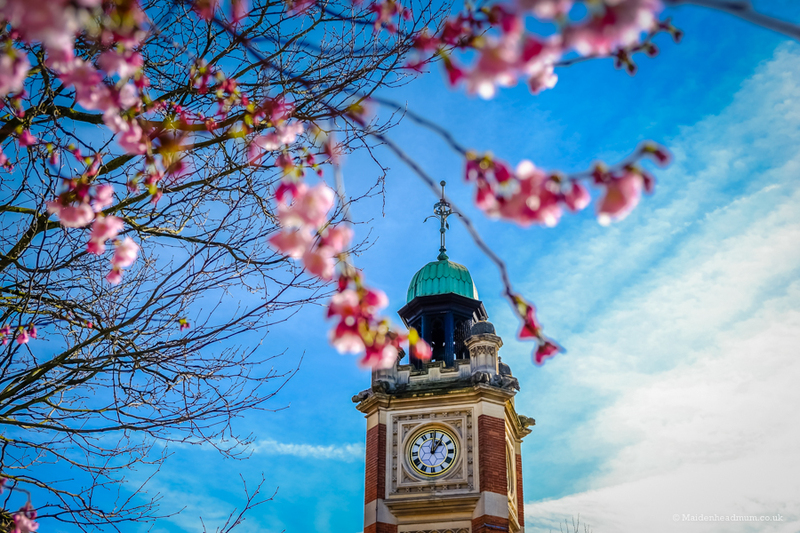 Maidenhead Clock Tower on a sunny May day. Norden Farm lantern parade. Hundreds of people took to the streets in the pouring rain! Amazing community spirit! 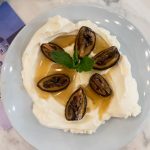 If you’d like some tips about photography and Instagram you might like my post ‘6 easy photography tips for Instagram’ that I wrote a little while ago. 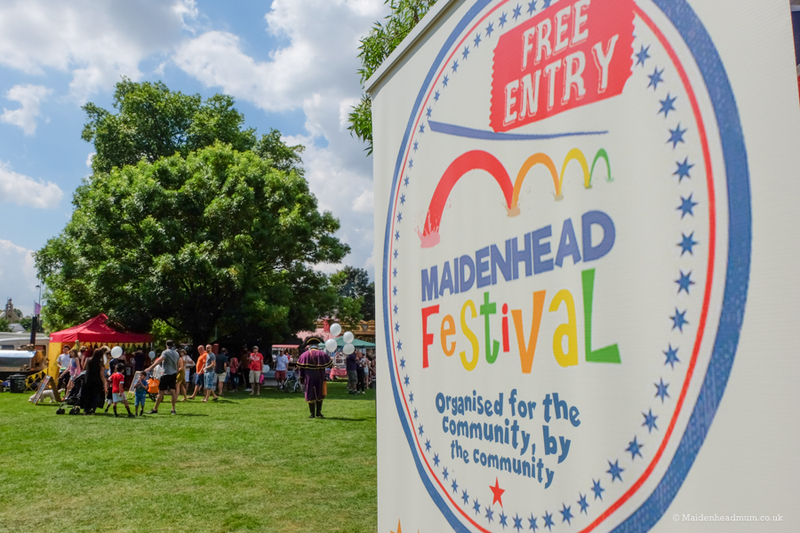 The Maidenhead Festival is a community event run by volunteers, and after being invited along to one of their planning meetings last year, I was inspired seeing how much hard work everyone puts in to make the festival a great day out for all of the family. I’ve been pretty much every year for the last 4 years and there’s always so much to take photos of at the Maidenhead Festival! 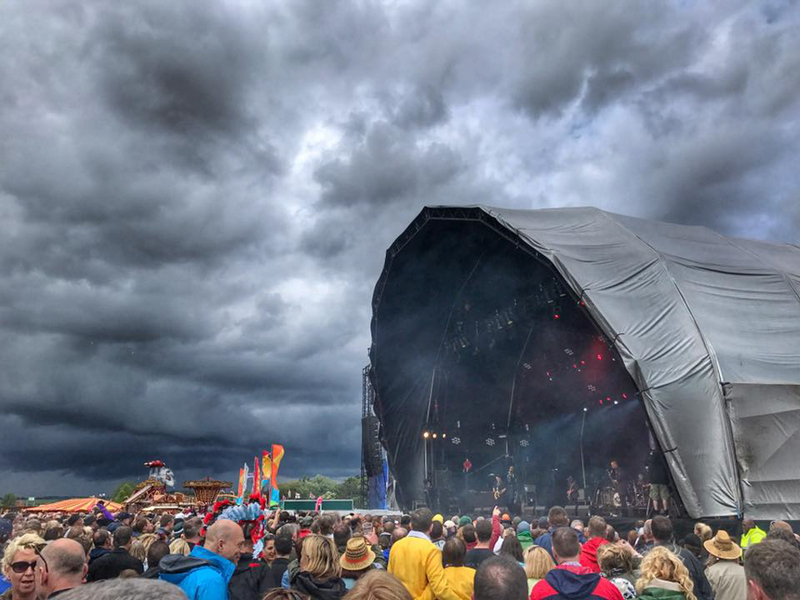 This year I was a little bit gutted that I was away on the festival weekend! 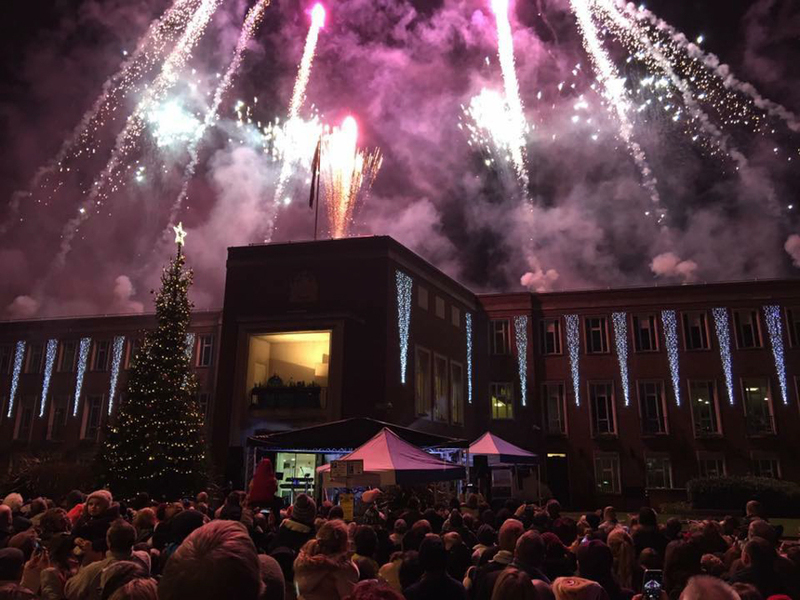 Last year I was asked to support the Maidenhead Festival photography competition and it was brilliant to see the community of Maidenhead get behind my #lovemaidenhead hashtag. This year it’s an honour to be asked to be the judge for the Maidenhead Festival Photography Competition! I think we live in a town to be proud of, but I also know that photographing it can be a challenge as you have to look around you to find the photo opportunties. Whether it’s down by the river, ‘Maidenhead Moments’ in town like Chinese New Year, or in the neighbouring countryside, there are lots of things to take photos of, but the challenge comes in showing how they are ‘uniquely Maidenhead’. I tried to use this as a benchmark for judging the images which showcase the varied lives we all lead in this town. They say the best camera is the one you have one you and for many of us this is our smartphone. 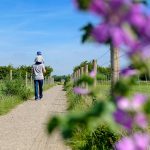 There were some amazing entries this year, and I loved how the wide range of photos captured can help inspire people to get out and explore Maidenhead and it’s surroundings. We’re blessed with all of the lovely countryside around us. The smartphone photos that stand out for me are very much ‘of the moment’, but it’s still very clear that these photos were shot in and around Maidenhead. 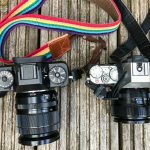 They share moments when you probably wouldn’t really have a ‘proper camera’ out with you: they show how brilliant smartphones can be for capturing that specific moment or memory. I like the contrasting light here with the dark clouds and the bright grass… And of course the rainbow. A little bit of photography magic. This is another ‘epic sky’ photo moment! Hardly the weather to be out and about, yet there is something very British about a festival in the rain, and this shows another side to Maidenhead. 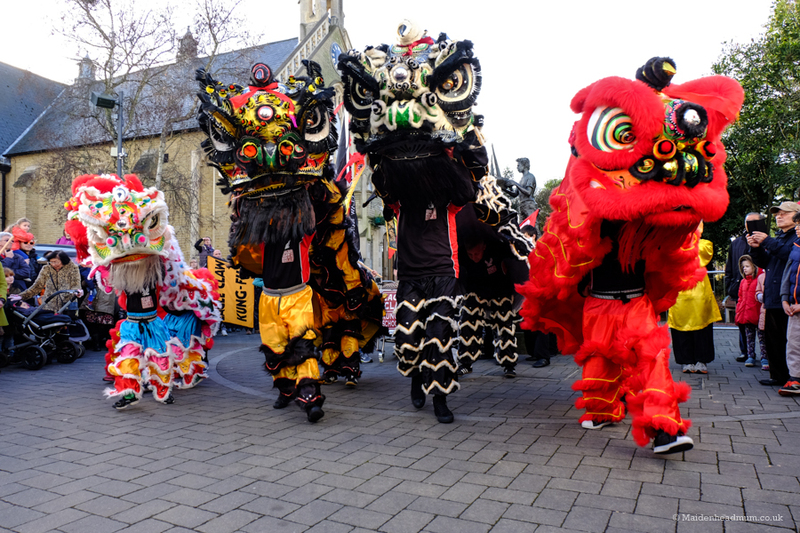 We’re lucky to have so many cool events on our doorstep. Years ago, the only people taking decent photos of fireworks would have been professionals with cameras on tripods. It’s great that this was taken on a smartphone and I love the colours of the fireworks and lights and the way they light up the crowd at the same time. I think Lisa has done a really good job of capturing a strong image that captures an amazing community event at the same time. A perfect Maidenhead moment! This year was the first year that we included an under 16 category and it’s pretty fascinating seeing the world through the eyes of kids. I like the fact that photos were taken on a broad selection of devices: some on an iPhone 4s. If you can manage to hand your old phone down to your kids, it can definitely inspire them to get creative. I like this image as it shows there are lots of quirky things to spot out and about in Maidenhead and I’m sure this can help keep younger minds busy when they’re out walking with their folks. 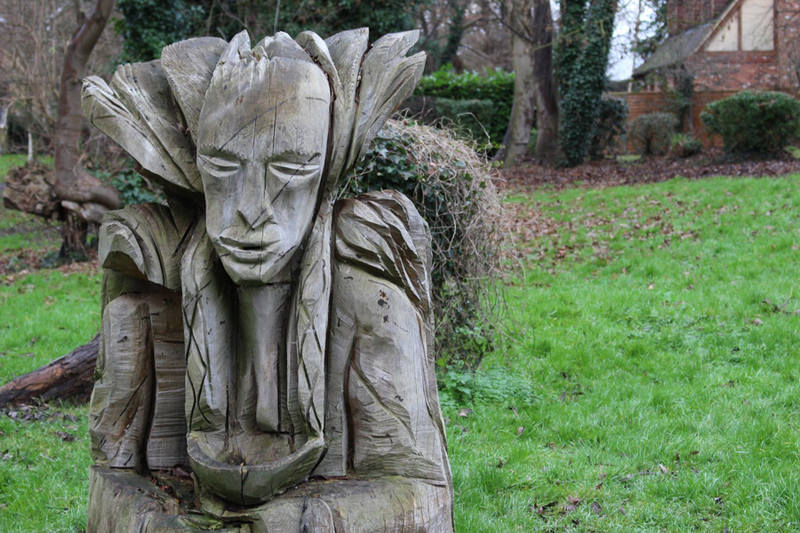 Simone captured this on Christmas day and liked how the ivy behind the sculpture looks like a cape. Simone Gould, age 12 when the image was taken, The Green Way Maidenhead on Christmas day. I was impressed with this image as it’s embracing new technology and captures a completely different perspective on the area we live in. The lakes at Bray look beautiful from this angle. There are some gorgeous colours and a strong composition in this image. 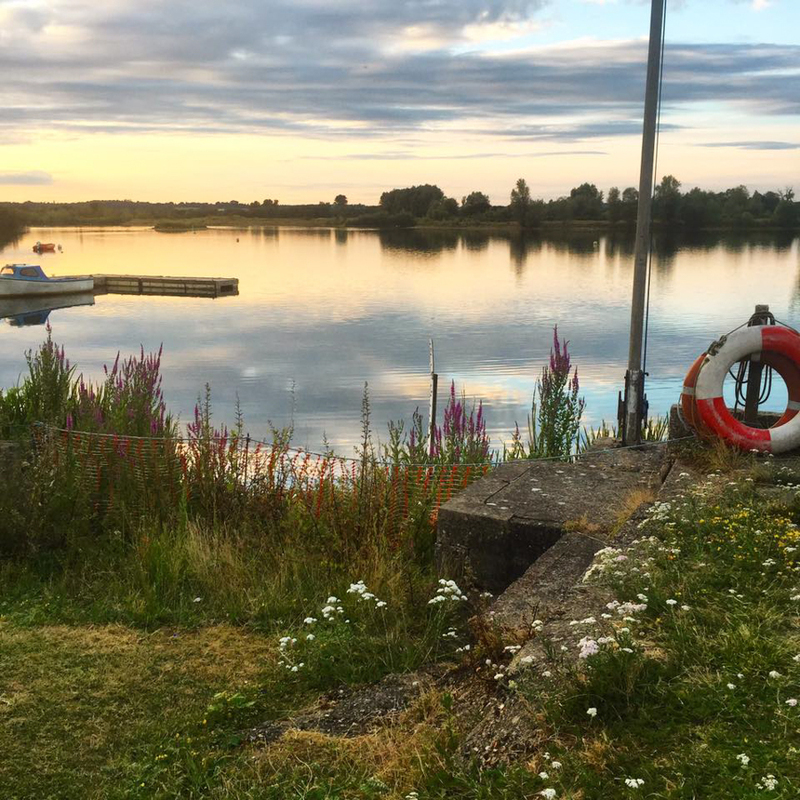 It was taken at Maidenhead Sailing club, and it showcases some of our beautiful waterside locations that we have around Maidenhead. As seen by a nine year old! Well done Kashvi! Oh my goodness, there were some amazing entries for this category. I was really, really excited to see so many of you are getting out and about and capturing Maidenhead through the seasons. 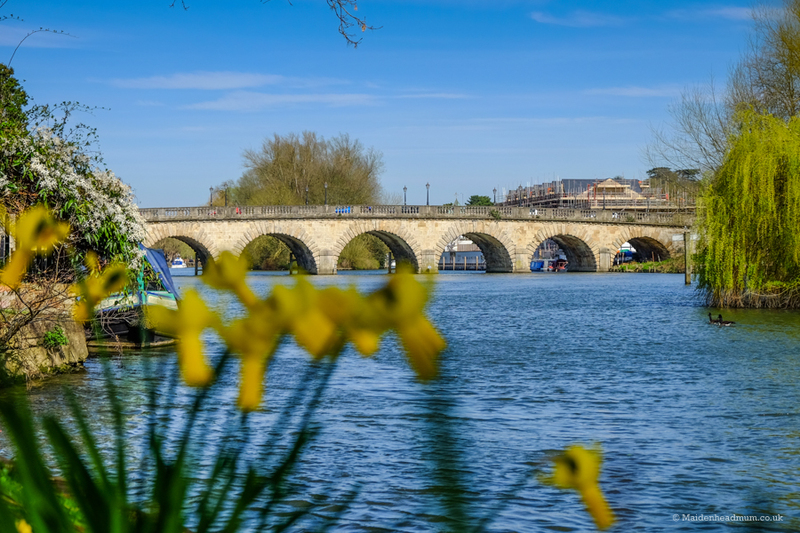 There are lots of beautiful places and scenes in and around Maidenhead, you just have to know where to look for them, and I felt that entries in this category really offer inspiration to others on where to go and explore Maidenhead to see it at it’s finest. I hope that some of you are on Instagram so I can follow you for regular image updates too. 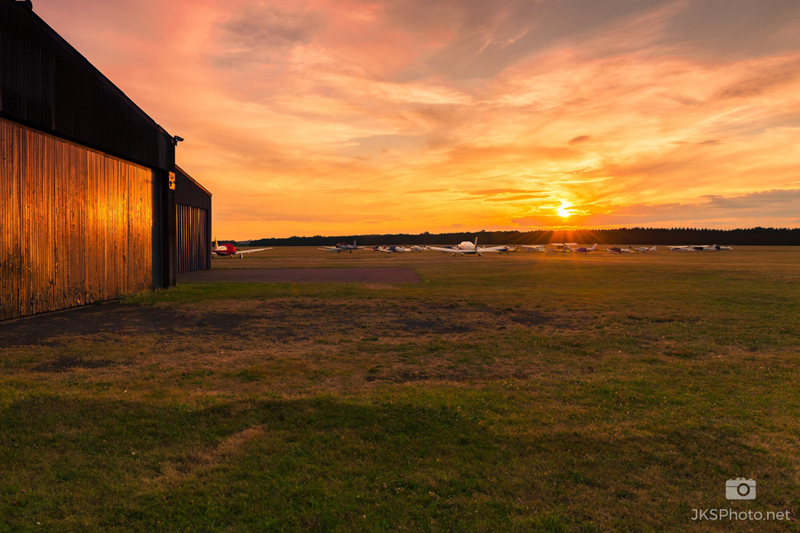 There were lots of great images from Jasper in the competition, but I particularly liked the way he captured the sunset over White Waltham airfield. The sky looks stunning, you can almost feel the warmth of it as it bounces off the aircraft hangar and the light flare from the setting sun makes the image really ‘pop’. This image is a reminder that there is heritage and beauty all round Maidenhead and encourages me to want to explore more. The more you look at this image, the more there is to notice. 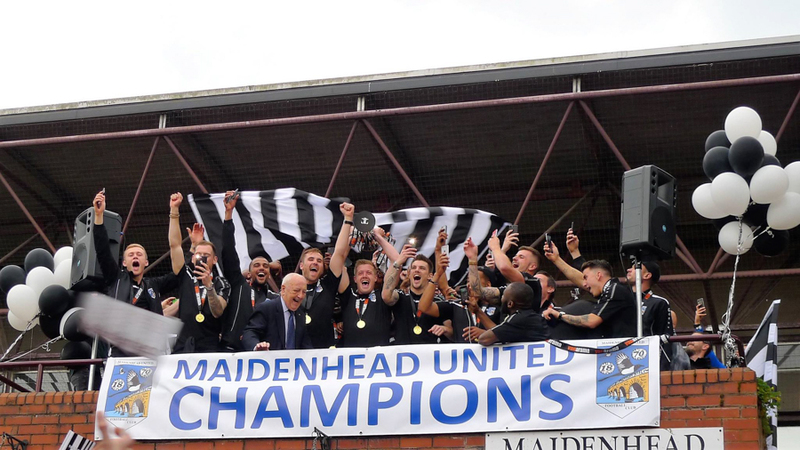 I love the jubilant expressions and smiles and the fact that this is a really iconic moment in Maidenhead’s history. When you look even closer, there are two little flashes from the footballers taking pictures with their smartphones. A little bit of photo magic. 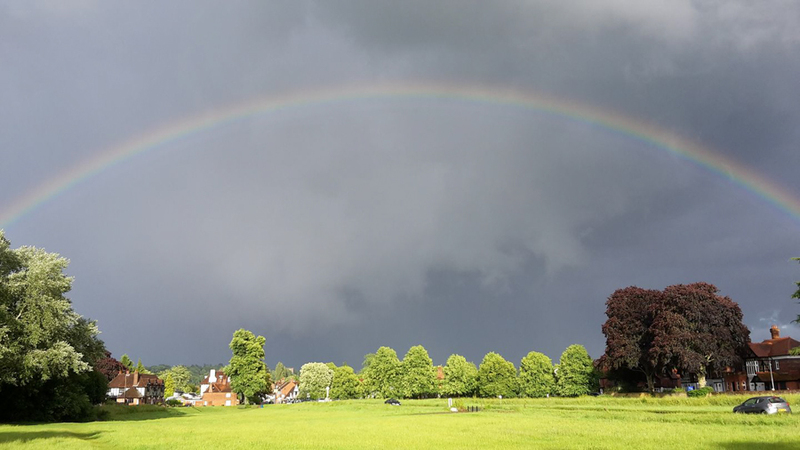 I should also add that that Sara spoilt us for choice with all of her images of Maidenhead that she submitted! It was tricky to whittle it down! I’ve chosen this image as it’s a great composition with beautiful colours, but also because it’s capturing an iconic view of Maidenhead and one that is sent to change over the next few years as the hotel is set for redevelopment into flats. This photo captures such a still and timeless feeling; I think it’s really beautiful. If you want to see more of my photos, you might like to check out some of my other blog posts or find me on Instagram (@maidenheadmum and @photo_jodie). 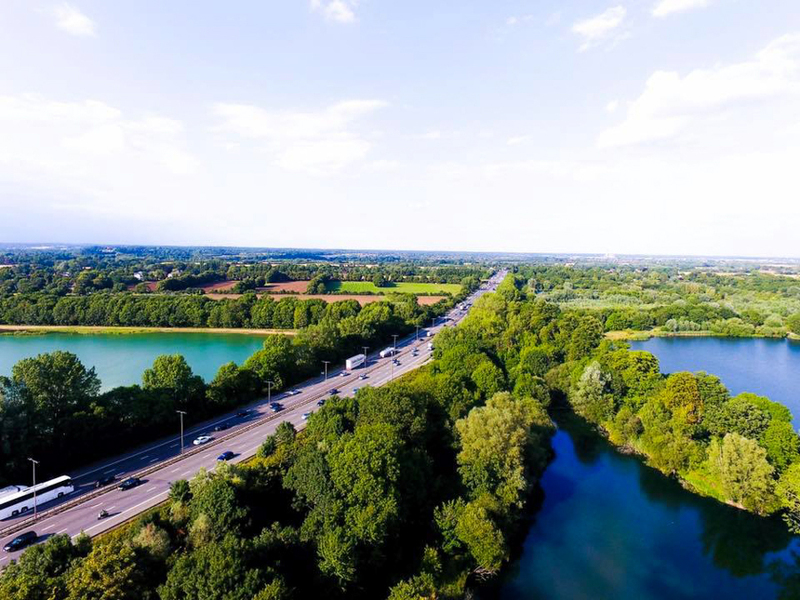 It would be amazing to connect with more of you and to keep up to date with more of the photos of Maidenhead that you take across the year. 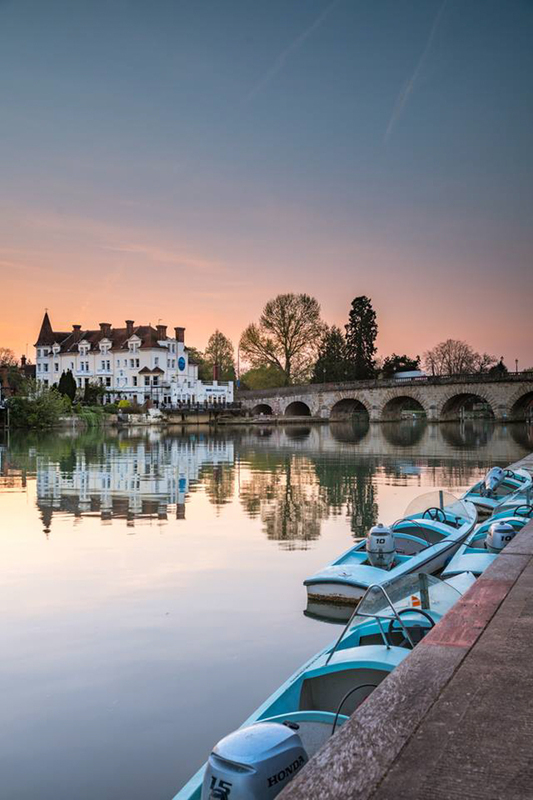 If you’re on Instagram, tagging your images with #lovemaidenhead is a great way to share your images and make new connections with other local photographers. Discovering nature in Maidenhead on The Green Way.